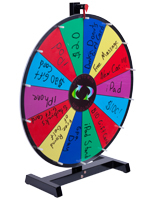 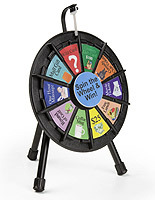 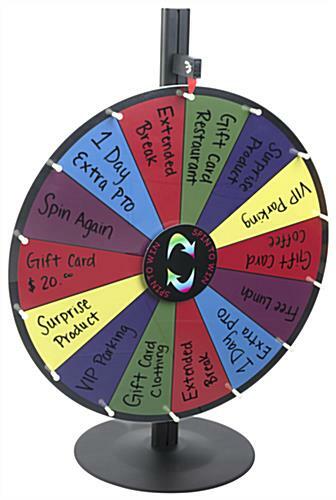 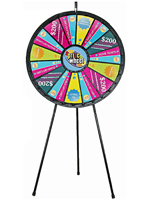 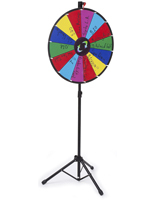 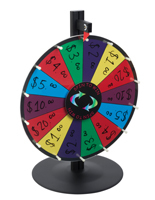 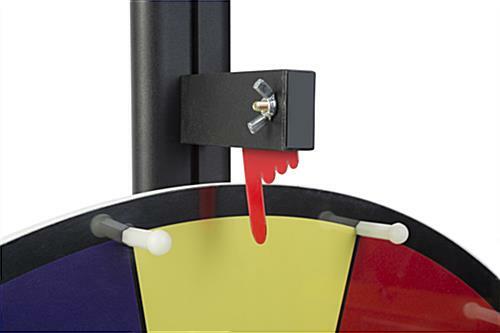 These multi-colored dry erase prize wheels are ideal for gathering crowds at trade shows, raffles and other events. 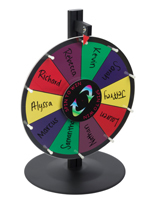 Write on the fourteen acrylic covered slots with the included marker for different giveaways and rewards. 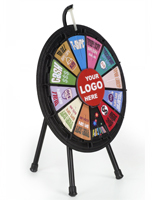 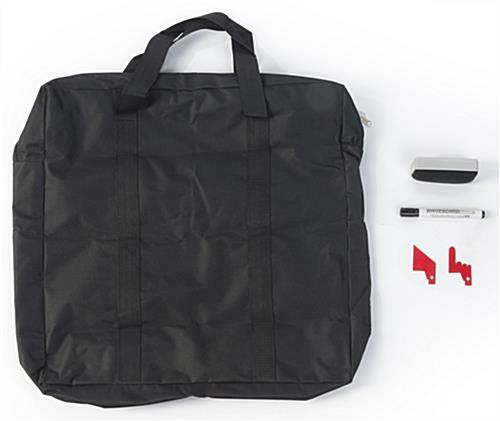 Each of the tabletops dry erase prize wheels has a portable design and comes with a carrying case for easy transportation to trade shows. 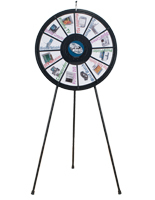 The spinning games with fourteen slots have a simple disassembly and setup for immediate use. 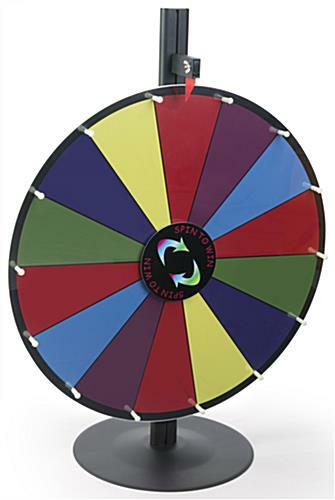 In addition, the prize wheels with a marker and eraser remain stable with their weighted iron base. 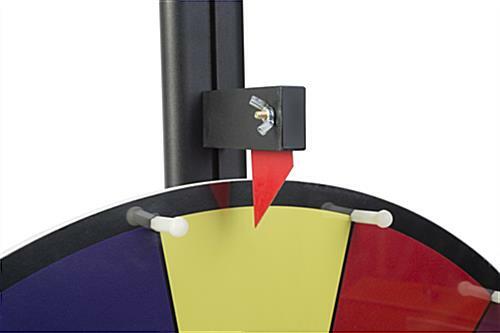 18.0" x 31.0" x 13.3"